How Many Calories are in Christmas Dinner? Dec 15, 2014 It’s the season for thinning wallets and thickening waistlines. Christmas and New Year often represent a bit of a black spot in the diet plans of sl.. Eating Like a Caveman – The Paleo Diet Jan 12, 2016 The Paleo or Paleolithic diet is a low carbohydrate diet that tries to advocate eating as our ancestors did back when humans were hunter gatherers.&nb.. Thank you forgetting in touch. The course has been bench-marked against the EQF at level 5 and the FHEQ at levle 4. In addition, when enroling you can elect to have your qualification endorsed and issued by an Ofqual Approved Awarding Organisation, which means that it can be notarised for international use. On its own, the qualification will not be sufficient to get on to a Masters course and if this is your intention, you should find out entry requirements for the universities you are interested, before you enrol. 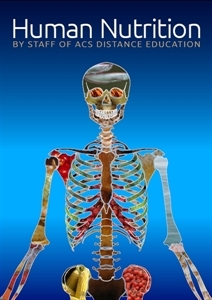 The completion hours given are 100, but this is a guide only because our courses are self-paced. Nutrition for Weight Loss course online. To explain all aspects of how nutrition affects weight loss. It is an ideal course for people working with children in the child care industry. It is also a good course for mothers wanting to understand their children's nutritional needs and learn to cope with them or for self enhancement. This level 3 course is accredited by ACCPH and allows you to join as a professional member after completion. Membership allows you to add the letters MACCPH after your name (post-nominals). Develop an understanding of modern day causes of obesity and recognise its significance to health. Be able to evaluate the weight status and body composition of an individual. Explain the relationship between nutrition and obesity. Determine appropriate actions to manage eating habits in individuals and in demographic groups for prevention of obesity. Determine appropriate treatments for treatment of obesity. To compare different techniques for modifying eating behaviour in order to control obesity. To describe a range of medical conditions and treatments that can affect obesity, and to explain appropriate dietary management responses to those conditions. To evaluate the obesity problem of an individual and determine a recommended course of action within a limited time frame; and using available information and resources gathered within that time frame. Juliette has over 10 years experience in teaching and private tutoring. As an undergraduate, she contributed to published research on the behaviour of an endangered bat species, though her main areas of interest and specialisation are genetics and cellular biology. After 7 months in the rainforests & reefs of Central America, Juliette began her teaching career at prestigious private school, Brighton College. She soon returned to Central America, heading up a field-trip for A-level students. She has been private tutor & exam coach to a range of students with very diverse backgrounds, aptitudes and expectations.More recently, Juliette has enjoyed working with adults with learning difficulties and enormous barriers to education. 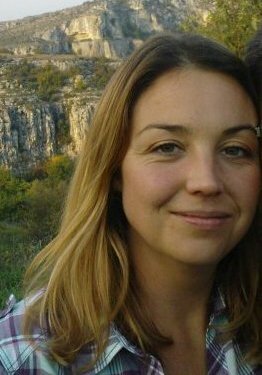 Juliette currently splits her time between England and Bulgaria, where she works as a teacher and missionary. In the last lesson we looked at various diets to help to treat obesity. While the treatment of obesity is of clear importance, it is also essential to look at the causes of obesity and develop strategies to prevent it happening in the first place. Targeting the behaviours that lead children to become overweight can be helpful in preventing childhood obesity. These include unhealthy eating habits and a lack of physical activity and exercise.